I was struck the other day when I was at the post office. They always get you when you’re waiting in line to pick up a parcel, and all you can do is look at the books, DVDs, nick-nacks that are on the shelves. I spotted these two books and after reading a bit of them in line I had to have them. I started reading the knitting section, realised that the author really knew what she was talking about, and that there were sections on things I didnt even know about. 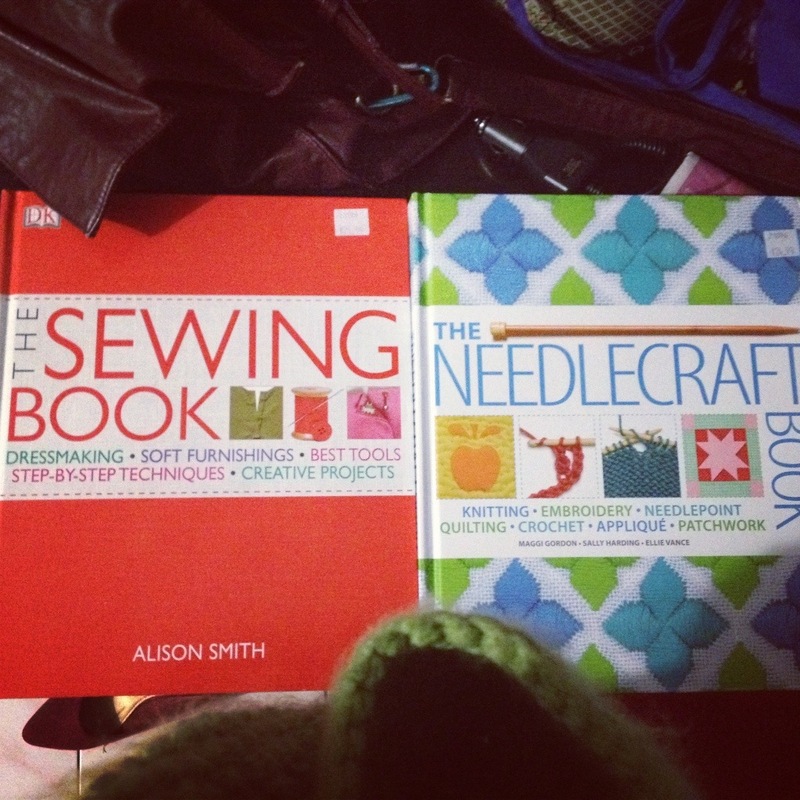 Then I saw the sewing one and thought if its the same quality as the knitting section this will be a great investment. And I have learnt so much. They were both $25 each, from Australia Post but I’ve liked them both so far. 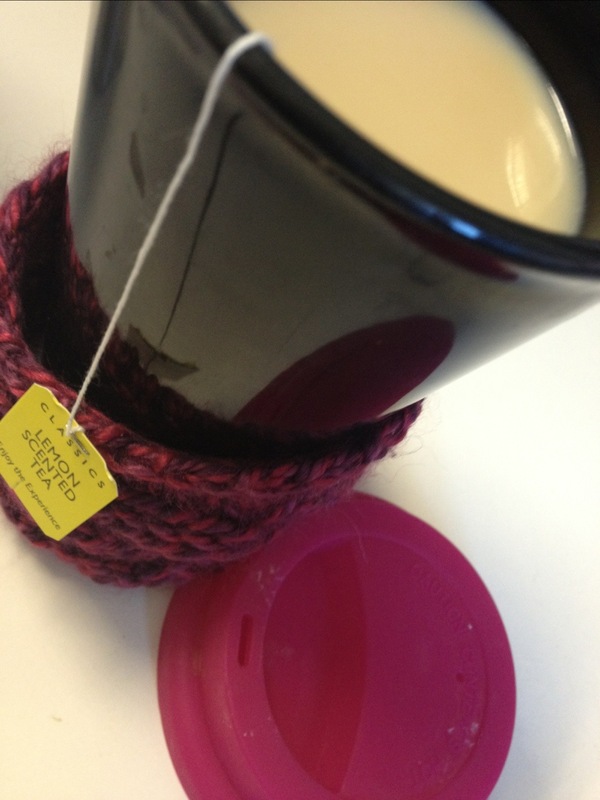 And my first creation inspired by one of these books is my tea cup cozy. The reason I was at the post office was that my new favourite jeans had a hole in them, and so I’d ordered another pair. But they were $40 and if you spent $50 you got free postage. So I spent just a little bit more than that. But one of the things I bought was this mix it cup with a pink mix it lid . For $4 I now have a new tea cup which I can take on the train in the mornings. 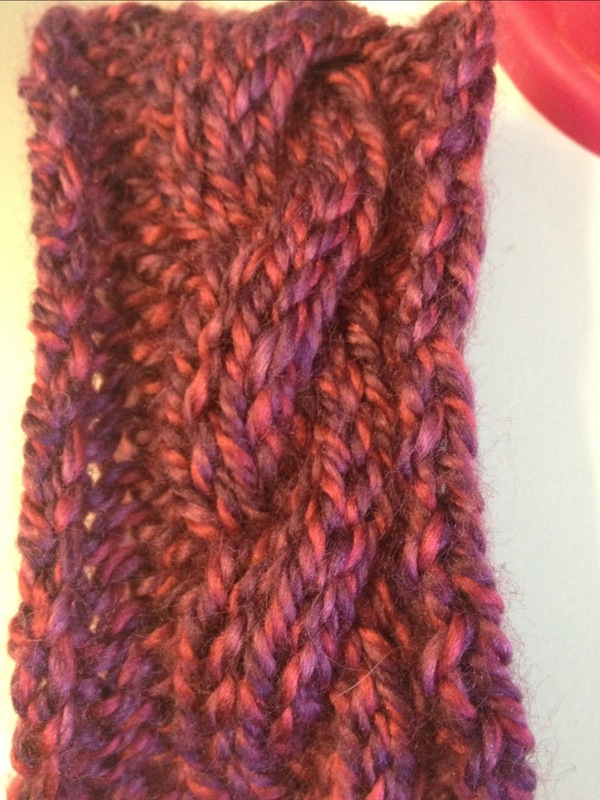 But it gets a bit hot, so using on of the basic cables in the book I made a cozy for it. I have to say I’m not all that happy with it. I forgot how much Moda Vera Ella stretches. And so most of the time it ends up falling off the cup. But it was so quick to make i’ll probably make another one really soon. I’m thinking maybe a bow – that would be really cute. 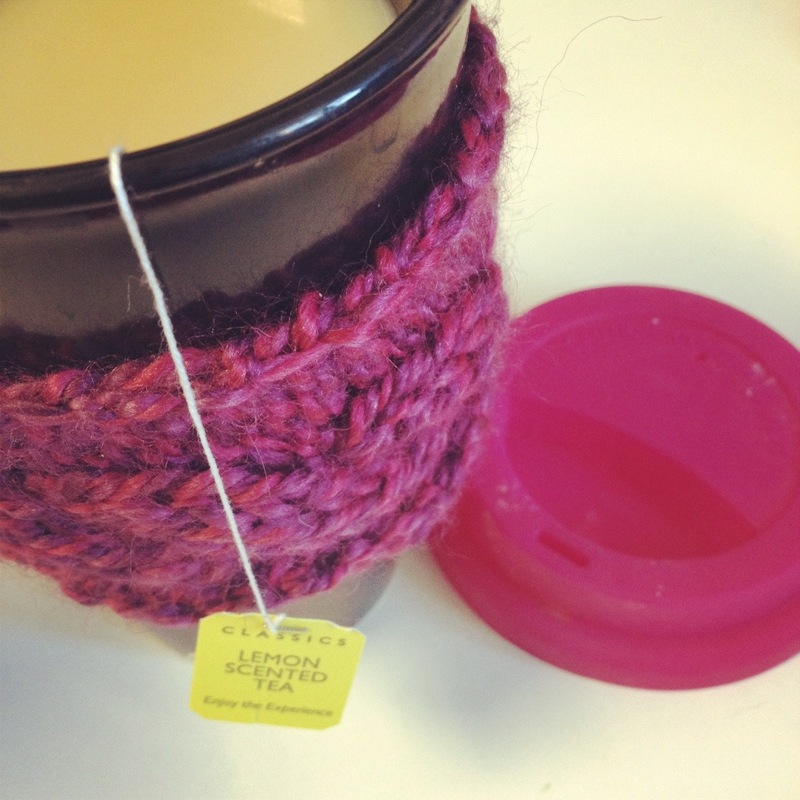 Has anyone ever made a tea cozy?? Any tips I should know about?? At our post office, all we get to look at in line are stamps and packaging materials. I think you win this one 🙂 The sewing book looks fab! I will have to look for it. And your new mug and cozy are adorable! Is the yarn feltable? Maybe you could felt it a little to help shrink it down. I’m thinking I may put it in the wash and see how it goes. Things only shrink when you don’t want them too though.